Terrific card!! who would have thought those colours would look so good together! Love the one layer! Lovely CAS card, thanks for sharing it with us at Fab'n'Funky. How come we always get smudges one those really CAS style cards? Never happens when I'm planning for a card with die cuts and embellies. A second go isn't that bad, I often require more than that, and I love how it turned out! Fun design of image and like how you centered it and added the sentiment. Great combination of stamps to make this fabulous CAS card! Thanks for joining us at Fab n Funky this week. Absolutely love this clean, simple beauty! Really fun and funky! Thanks so much for playing along with our colour challenge at 52CCT. Good luck with the DT Call. Great card. Thank you for joining the challenge at The Glory of Christmas. Hope to see you again next. time. Gorgeous cas card, beautiful stamping!!! Great work! 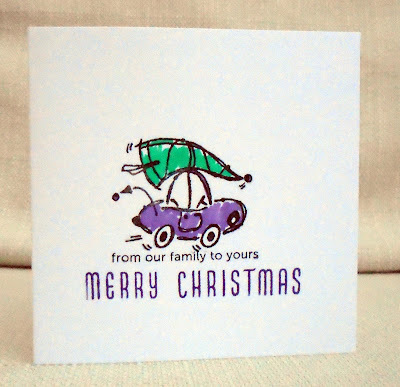 I love this untraditional CAS Christmas card. 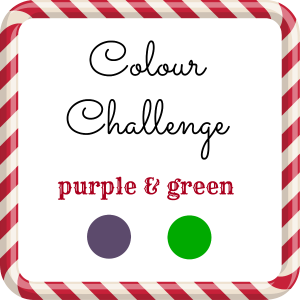 Thanks so much for joining us at the Alphabet Challenge Blog! Awesome!!! Thanks so much for participating in our ALPHABET challenge!!! Can’t wait to see you participate again in our next challenge! !